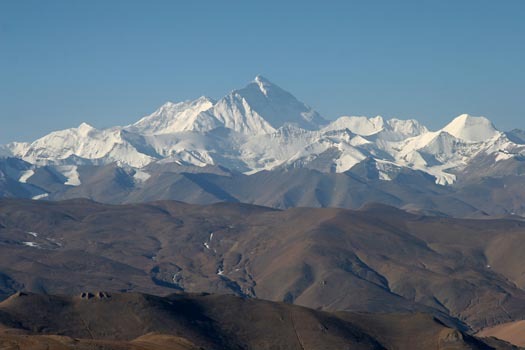 Tibet’s capital is over 10,000 feet elevation and the highest city in the world. In this ill-lit bar there is little oxygen and lots of smoke. It is 1990, a year after the Tienanmen, and independent travel in Tibet is banned. My lover at the time Deborah and I have jumped our tour and are negotiating with a driver who has been recommended to us. His name is Punsak, he appears to be in his 40s with weathered skin and a gravelly voice. We would find out later he was in his late 20s. The punishment for white skinned internationals for unauthorized travel is brief imprisonment, hefty fines and deportation. For Punsak, it would be much worse. “So you want to go to Nepal?” Punsak asks but he knows the answer. “This you must understand. There are two obstacles in your way. Neither wants you to succeed.” His eyes moved between the two of us. We are hanging on his words. Then pointing to his chest he said. Tibet has the largest army in the world! ?